New Moon in Aries is on April 15th and this initiates courage and confidence. You may find that through this Dark Moon phase you are feeling energetic and inspired to invite in some new experiences within your life. Mercury also goes direct during this time so communication will slowly start to get back to normal. 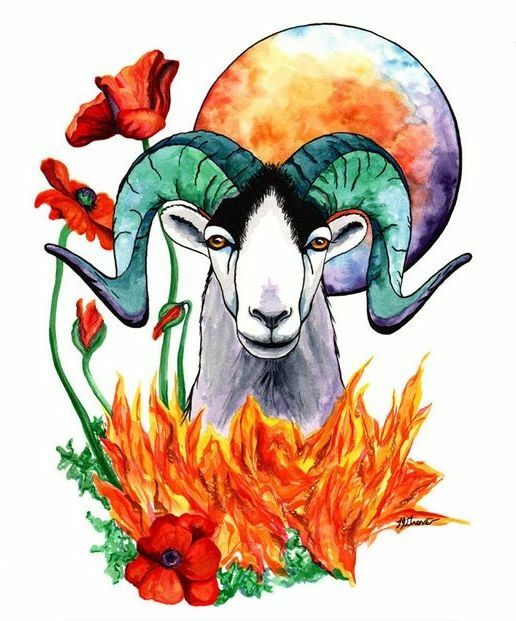 Aries is the beginning of the Astrological New Year. So what SEEDS do you want to plant? You will be nurturing these throughout the summer... With a closing culmination come mid- September. Aries - People are seeing you differently now. Strut your stuff and have courage to step out in a different way. Taurus - Changes within Karma are coming around for you. You are starting a new cycle. Focus on gratitude. Gemini - New social groups initiate changes for you. Let your intuition guide you. Cancer - You may find that you receive some kind of acknowledgement at work. Initiating a new cycle. Leo - You may find that you now have a new view within your philosophy or maybe you are focused on learning. Be Inspired. Virgo - There may be something that was hidden that comes to the surface. This will allow you a fresh start. Libra - There is a new way of partnering with someone. Initiate some change within how you relate to others. Sagittarius - There is the potential for love and romance. This could also be a new hobby. Go out and get creative. Capricorn - The new beginning for you is under your roof. This is something centered around your family. Aquarius - How you express yourself could be changing. Something may come in that helps you to express yourself in new ways. Pisces - Focus on your self-worth. Initiate something that helps you to see your value. You are worth it. You have to believe it! Sit down with a journal. Focus on your signs THEME.... Write down 10 things you would like to draw into your life surrounding this area. What New Beginning are you desiring or what new experiences do you wish to have. The Universe has been giving clues... Are you paying attention?